YOU LYING! YOU ESPECK ME TO BAWEIVE DAT STOWY? 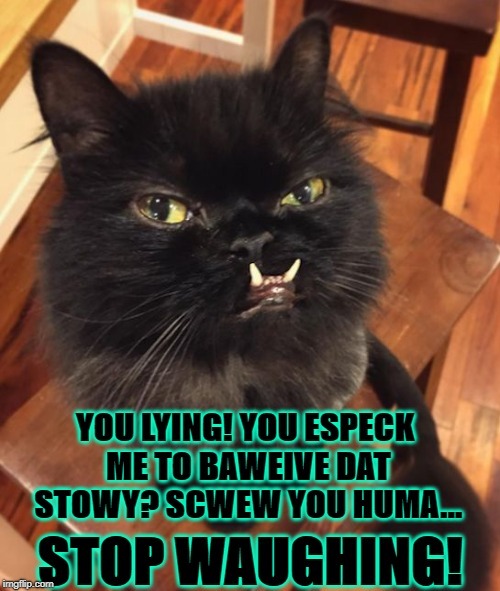 SCWEW YOU HUMA... STOP WAUGHING!